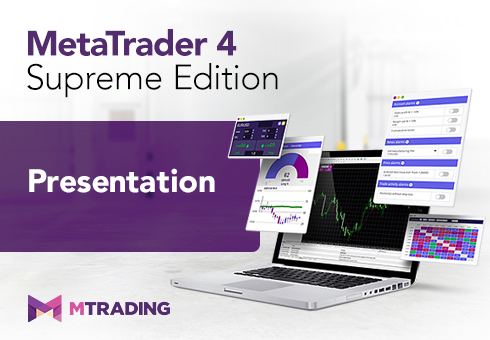 Optimise your trading experience with the world’s most innovative MT4 features. Enjoy fast and simple trade management, with our Mini Terminal. Use it to quickly open and easily manage your Forex trades. 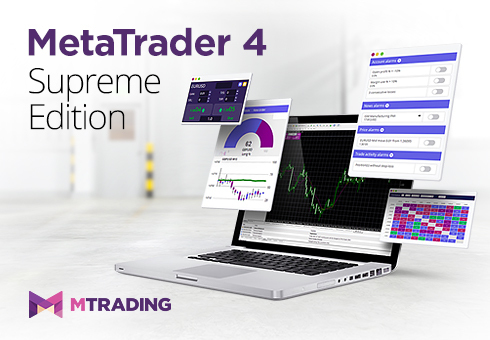 Manage your account and orders with Trade Terminal - your new trading assistant. Trade Terminal combines Mini Terminal features and new functionality for smooth trade management. Enjoy an edge with daily trading news and real-time trading history analysis. Keep track of your order history, get access to trading signals and benefit from in-depth charts. This Trading Simulator lets you backtest your manual strategy, using historical chart data. Majority of Mini Terminal functions available. Lot-size calculator and smart lines included. Simple to analyse your trading strategy after testing. A time-saving indicator, that shows you small charts inside your main chart. Previously unavailable multiple timeframes and chart types, now included. Small charts are conveniently sizeable and placeable. Use your preferred timeframe, from seconds to three-minutes. Explore new charts from Kagi or Point-and-Figure, to Range. Our Supreme Edition is fast, reliable and absolutely free. Enjoy industry-leading features on a demo account or trade live.